Description: Original, hand thrown Sebastiano Maglio vase. 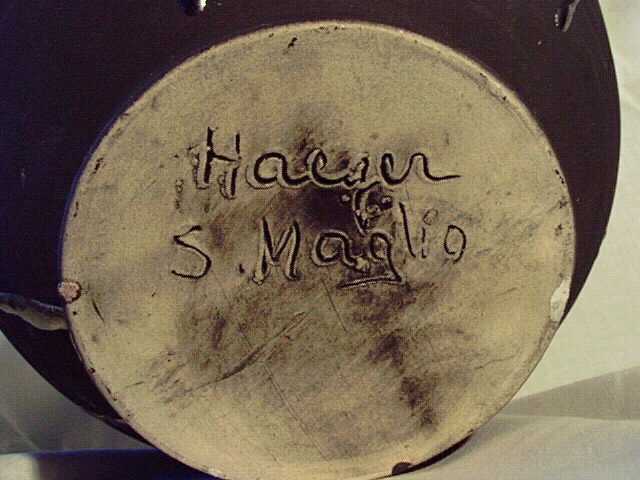 Sebastiano wasa master potter for the Haeger Pottery Co. during the last part of the 20th century. He is a 8th generation potter from Italy. More of this master's hand thrown work can be seen in The House of Haeger 1914-1944 by Joe and Joyce Paradis, p. 13. 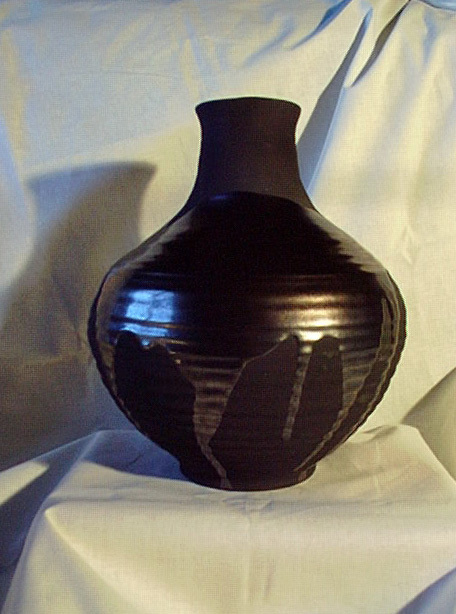 Vase is covered in a dead, flat black glaze with dark bronze drip over glaze. Probably dates around 1985. Almost 10 inches tall.